Mersey Harmony were joined by Mountain Harmony and two Club at Large (CAL) members, at ESLA to receive the “Beacon of Harmony” scroll. The scroll, a symbol of the harmony that their music emulates has been signed by all the groups that have received it. 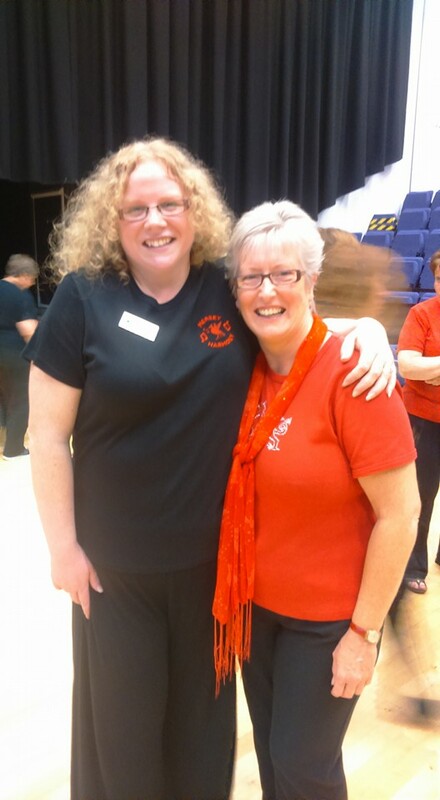 It has travelled around the country, from chorus to chorus before it ends up in Harrogate later this year for the Ladies Association of British Barbershop Singers (LABBS) convention competition. Mersey Harmony will be handing over the scroll to neighbouring group Soundwaves in Blackpool on Friday 9th September as it continues its national journey. Around 70 old and new friends mingled over supper, singing together and for each other, led by their musical directors Helen Griffiths and Nova Evans. Rhiannon Owens from Mountain Harmony, Margaret de Wolf from CAL and Enid Vaux from Mersey Harmony were all present on the evening. 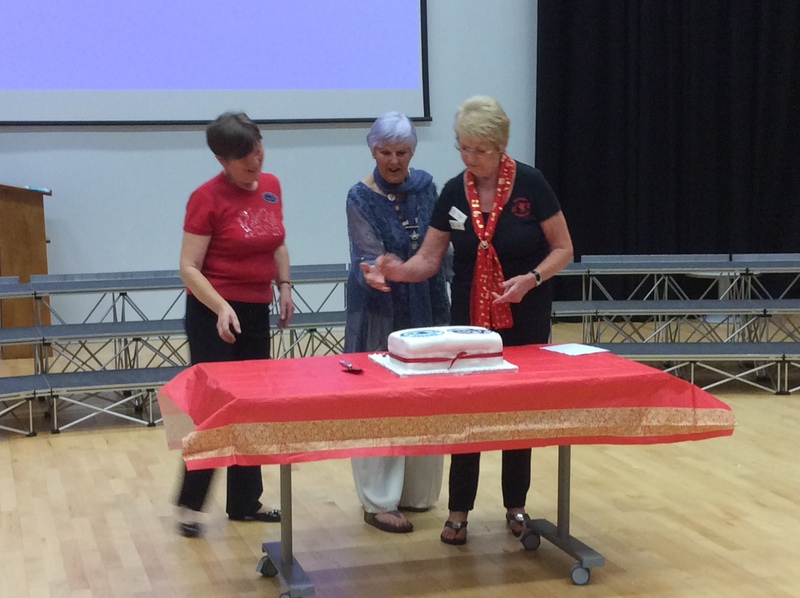 All three are founder members of Liverpool Ladies Barbershop singers (now Mersey Harmony) and Rhiannon and Margaret are also founder members of LABBS. 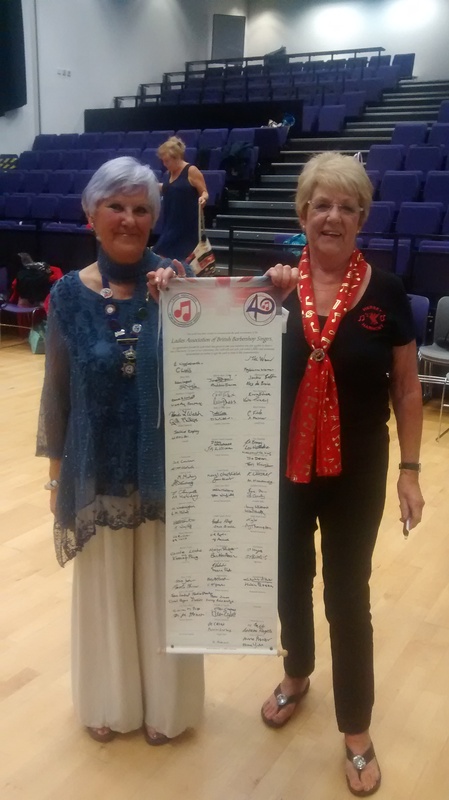 Rhiannon drew the evening to a close, by expressing her pleasure at seeing and hearing so many chorus members enjoying music together in this special year of ladies barbershop. She reminded the ladies that on this day 39 years ago, Liverpool Ladies (now Mersey Harmony) won their first ever gold medal at LABBS convention.